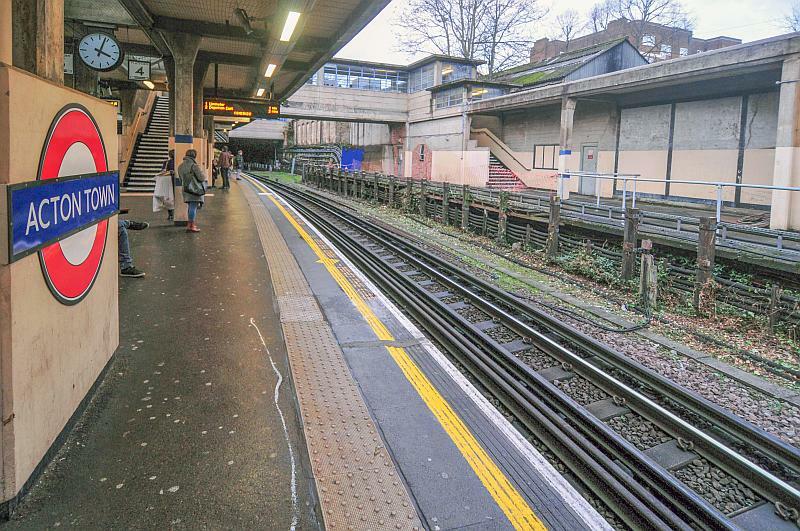 Fifty years ago in February 1959, the last tube trains to served this particular station were withdrawn. The station itself eventually became hidden for good by huge advertising boards and the only proper reminder it ever existed was a footbridge that apparently went nowhere! 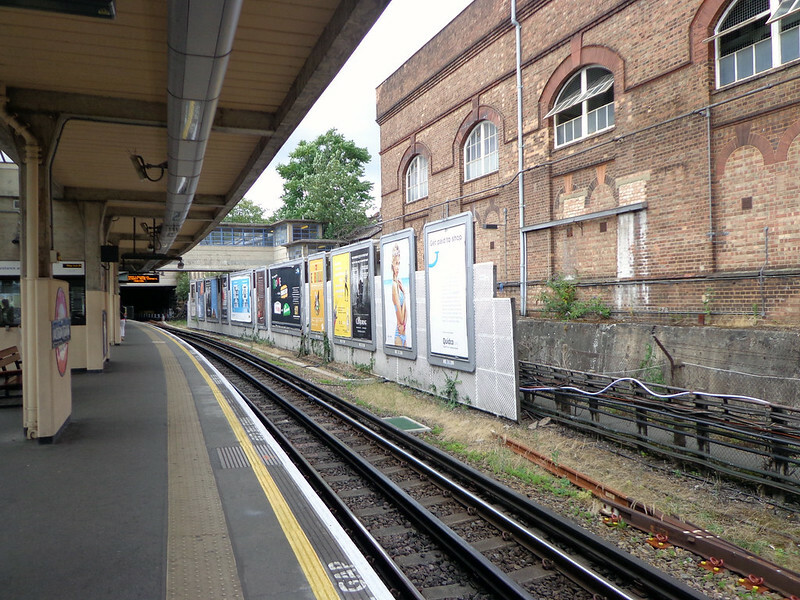 Recently these advertising hoardings came down and the station once again became visible to the world. Yes, you guessed this right – its the old station at Acton Town where one would catch the District Line’s branch line to South Acton! 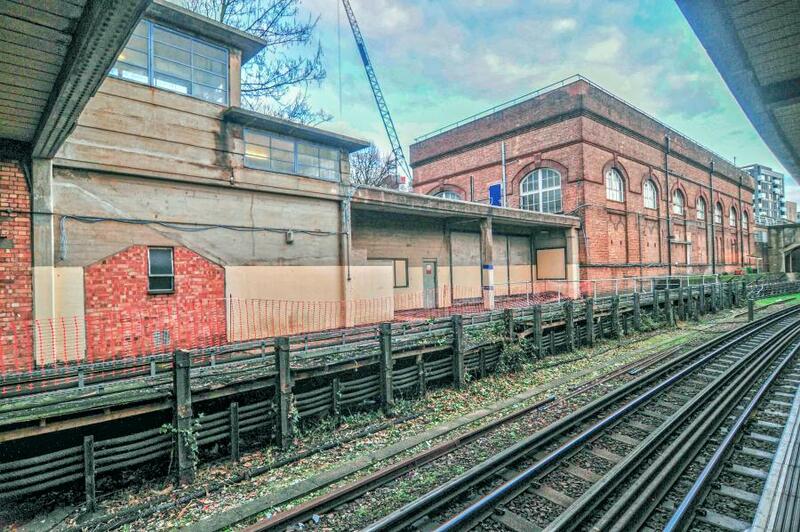 Update: Reading TfL’s press release on the District Line’s 150th anniversary its clear tours of Acton Town station are being planned in April and perhaps this revelation of the old South Acton shuttle station is going to be part of the years programme of celebrations for the District Line. 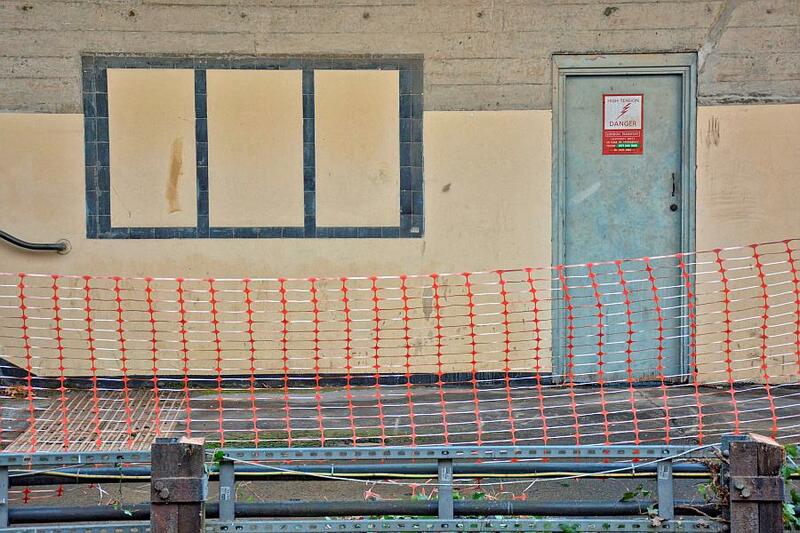 The doorway here at the top of the stairs leading to platforms 3 & 4 is where passengers once crossed the footbridge leading to the South Acton shuttle platform. The shuttle service was known as ‘the Ginny’ or the ‘Penny Ginny.’ Apparently it was a corruption of ‘Little Jenny’ which was the original steam railmotor service that operated along the branch. The two single cars used on the branch, classified as G23 stock, were in fact modified G stock. A similar daytime view of the shuttle station at Acton Town – showing the substation – and the old Acton Town signal box just visible right at the far end. 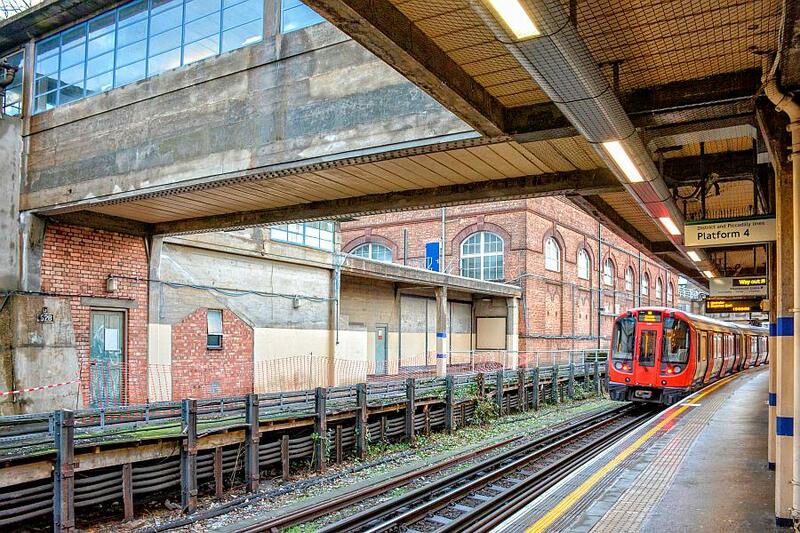 I don’t have a picture that shows the site well enough with the advertising boards in place, however there’s this one which shows a Piccadilly Line train using platform four. The adverts that hid the old tube station can be seen above the train’s roof. With the eventual onset of CBTC for the District Line this mixed platform use by the two different tube lines may well end. Piccadilly train on platform 4 with the adverts visible on the left side. This next view by Diamond Geezer shows the site much better although its a little distance away from the actual station platform! 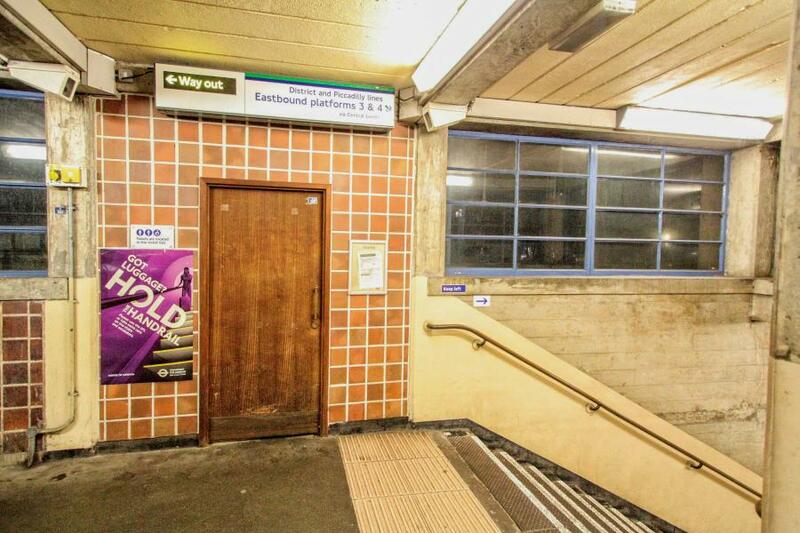 The South Acton platform is behind the advertising in question. Picture embedded from Diamond Geezer’s Flickr page. A similar scene in 2019 showing the old station and platform clearly revealed for everyone to see. There are some good pictures at Abandoned Stations showing the old platform when it was hidden by adverts as well as other pictures of the short branch line itself. 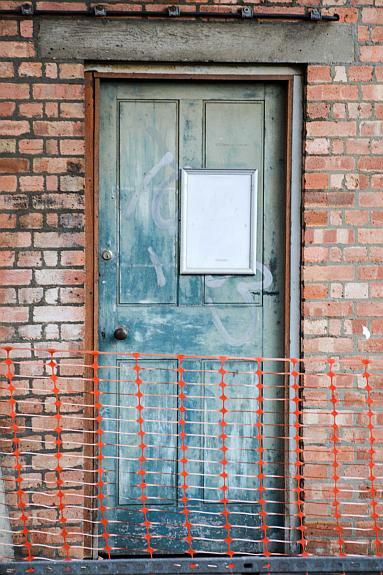 Quite an old door! Its sited underneath the footbridge itself. Another door and some advertisement panels. 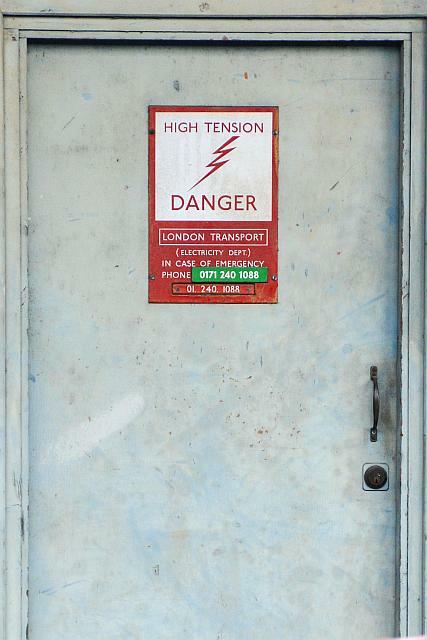 This other door says London Transport and gives an 01 number – later changed to 0171! Although the South Acton shuttle service was worked by G23 District Line single car stock, at one time there were through District services from South Acton to Hounslow. 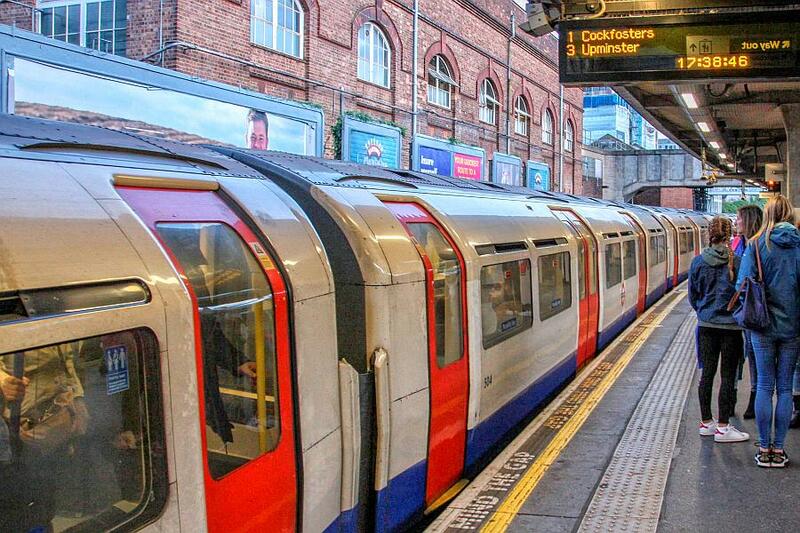 The branch was originally double tracked and the Piccadilly Line’s new Rayners Lane branch services first began operating preview services from South Acton prior to their full take over of the Rayners Lane branch. It was for just one week whilst track alterations, doubling and other works were being undertaken towards Hammersmith. 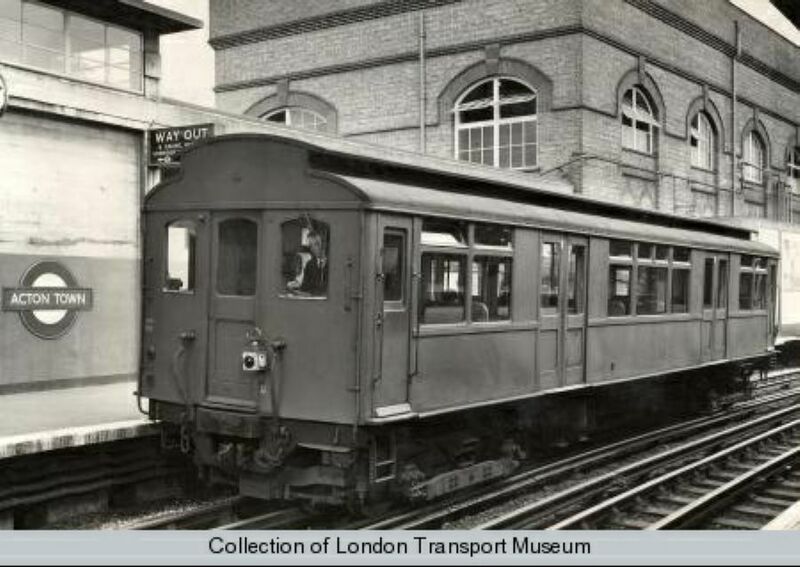 This was up until 14th February 1932, the same date when the District’s through services to Hounslow also ended. From then on the South Acton service was merely a shuttle service and it began using the new platform 5 at Acton Town. During 1932 the branch was progressively reduced to single track. The LURS’ ‘Piccadilly to the West’ details these as well as all the other changes in the area. 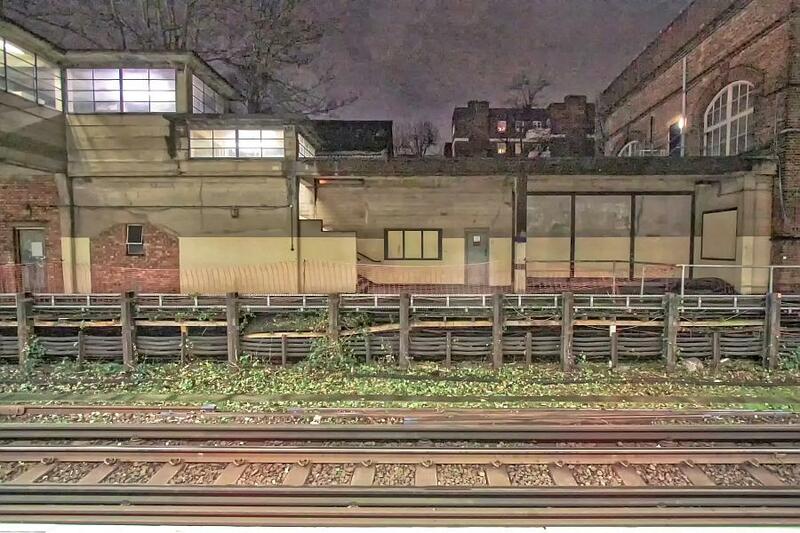 Night-time view of the old Acton Town station shuttle service platform.